If you watch business news channel, you may have heard the term top line and bottom line and if you read the definition of those terms they sound very complex to understand. Today I will try to explain top-line and bottom-line in a very simple language and simple examples as well as clarify the difference between them. Amount received from the sale of products or services before the expenses. Is also referred to as Gross sales. 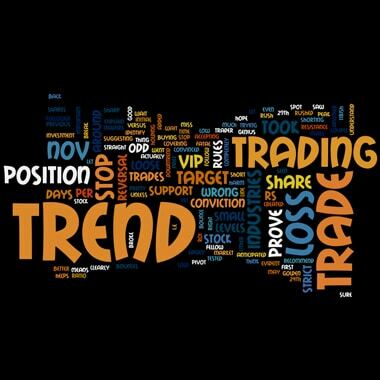 From the above definition we know what is top line and what is bottom line. Now let us take a simple example to understand it further. We all use mobile phones and so let us take an example of dummy mobile phone manufacturing company. We call the company is XYZ company. XYZ Company has come up with a brilliant handset and so the sales of the company in the current month have increased by 20% from the previous month. Does the above scenario also means XYZ company is also making 20% in net profit. No because to manufacture such high number of mobile phones, the company had to setup new manufacturing units. So XYZ company has taken a loan that has increased expense of the interest part that they are paying to the bank. Taking the interest expense the company’s bottom line did not grow at 20% but say it grew only by 8%. This means you have good sales and good top line growth but then bottom line is lagging behind. As the sales are good with good cash inflows, company decides to pay off major part of the loan and soon the bottom line of the company starts catching up. We assumed an XYZ company but it is always better to see a real example to understand the real market terminologies. Let us take an example Infosys and understand the difference between top line and bottom line. 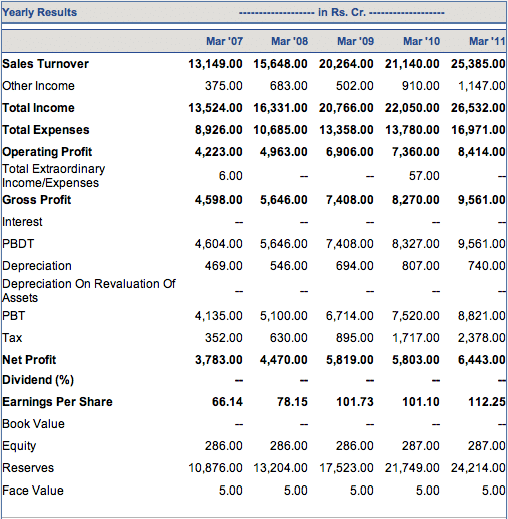 Let us look at the yearly result for the last 5 years for Infosys at MoneyControl. Our focus will be for the time period Mar 09 and Mar 10. There is an increase in total income from 20,766 to 22,050 and so we see a gross profit rise from 7408 to 8270 but if you see the net profit, it remained flat at 5819 to 5803. This is mainly because of the extra 900 Cr tax from 895 to 1717 Cr Rs. We see growth in topline for Infosys but there is hardly any growth in bottom line of Infosys in the same time period. I hope this clear the confusion among fellow investors about the terms top-line and bottom-line and what do they mean. How scenarios can impact top-line and bottom-line? A company would be experiencing top-line growth if a new product or campaign increases sales for the company. Bottom-line growth would occur in a situation where a company found a method to reduce the cost. It could be by having new supplier for raw materials or government has some policy change that can reduce the cost or a management decision to generate cash to pay off the loans. Bottom line significance is the efficiency in operation of a company that can include spending and operating costs. Top line, on the other hand, only indicates how effective a company is at generating sales and driving customers. Drastic change in bottom line effects the price of the share almost instantly but the growth in sales may not impact the share price in the same direction every time. A company can always have growth in both top-line and bottom-line growth at the same time if it can increase sales (top line) and reduces its operating costs (bottom line). Share your views and feedback in comments below.